I have been a WAHM (work at home mom) since my first child was one. It’s not always easy; some challenges come with the territory. I talked about that in a previous post, “Do You Want to Work at Home?”. I’m a writer—a profession that transfers well to working from home. If you don’t know why you should work from home or exactly where to begin, I have some helpful suggested resources for you. Why Should I Work at Home? You’d love to earn money while also having time for your family. You see that the cost of childcare and other full-time work-related expenses outpaces your income. You have an entrepreneurial bent, are interested in being your own boss, and/or are a self-starter. You don’t mind being alone most of the time. You prefer working alone on deadline-oriented projects. How Do I Begin a Home Based Business? 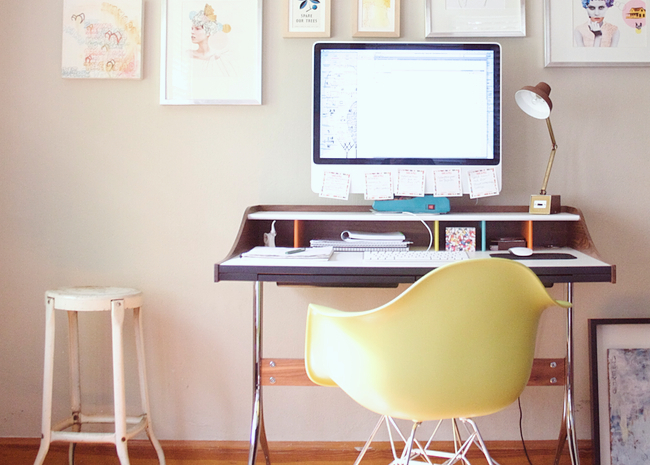 Now that you’ve decided to work from home, exactly how do you make that transition? 1. Subscribe and follow Kelly McCausey at Solo Smarts. 2. Find help and information with Solo MasterMinds. The SoloMasterMinds group is a forum for encouragement, assistance, and accountability. The savvy and experienced businesswomen who hang out there are eager to help you and answer your questions. If your income has been a big part of the monthly family finances, then switching to a work at home job will cause your finances to take a hit. Be sure there is enough financial cushion in your bank account to weather the first six months of your new career. It will take time to establish your business. Ideally, I’d suggest beginning your home based business alongside your traditional business. Once your work at home business is successfully generating some income, you can more easily transition out of your traditional job. For more home based business ideas, including ways to work at home, download my free report, 5 Easy Steps to Discover the Home Based Business That’s Perfect for You.